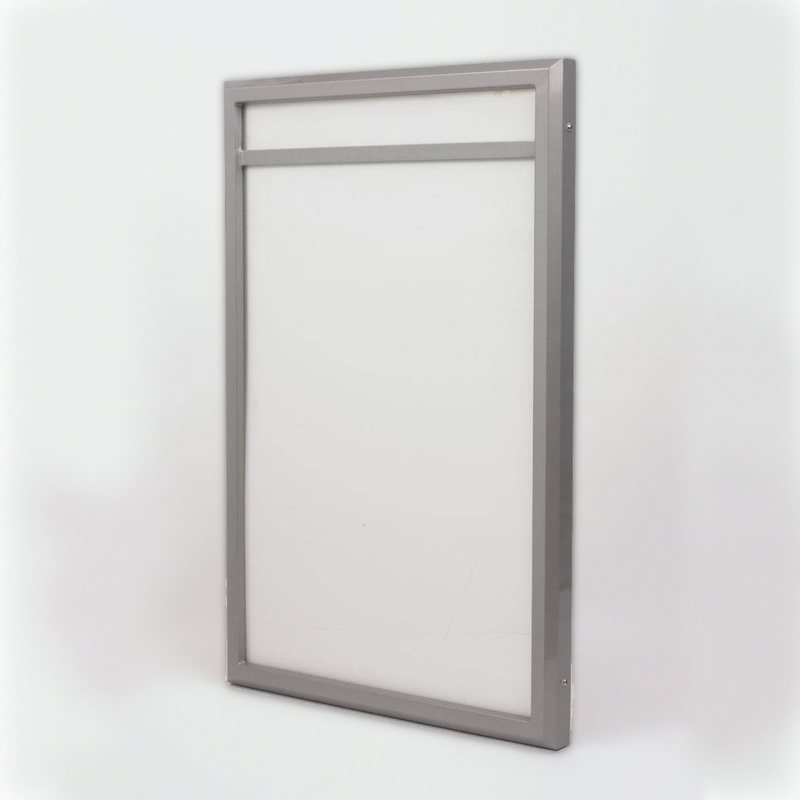 The Camelot Poster Case has the same specification as the AP Range of cases, but offers the customer a 75mm header section built into the construction of the case itself. 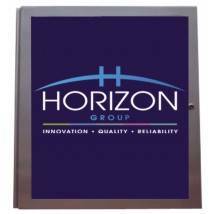 The header section enables the customer to apply vinyl graphics perhaps displaying a restaurant name or company logo. 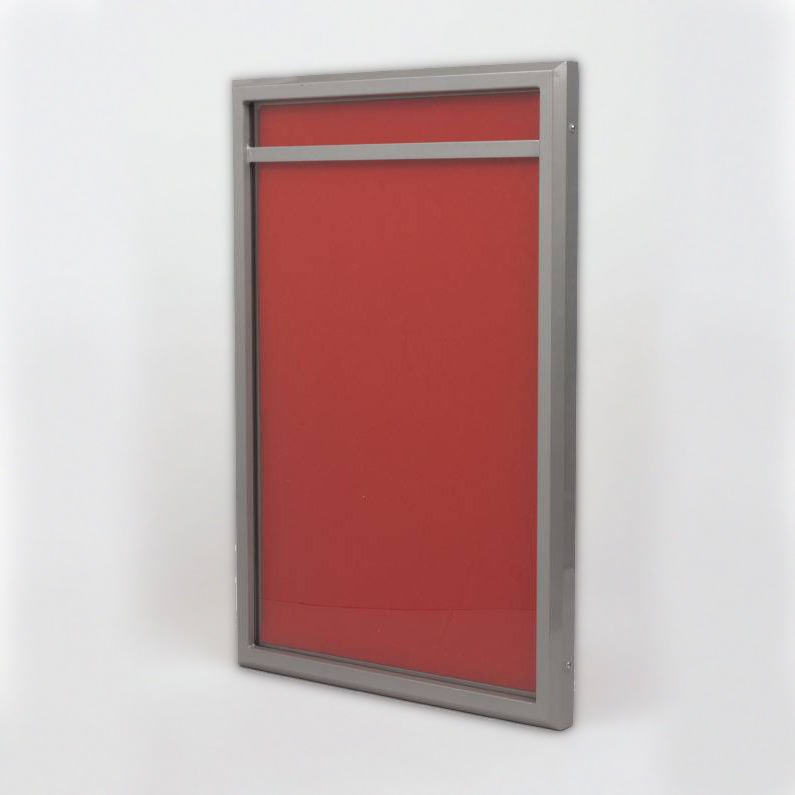 The premium aluminium poster cases have a high quality finish, available in a variety of colours and sizes: A0, A1, A2, A3, A4, Double Royal, 30” x 20”, 40” x 30”, 60” x 40” and 6Sheet – with bespoke sizes also available. 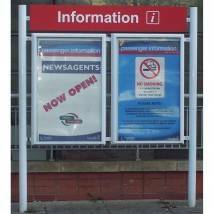 The cost effective poster cases are both vandal and weather resistant to provided high protection whilst maintaining the aesthetics of the poster case itself. 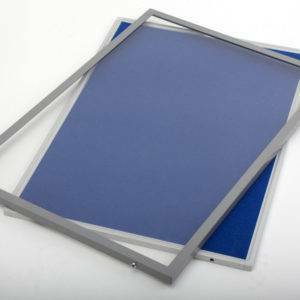 The poster cases and poster frames are excellent quality with fully welded and dressed corners and a heavy duty back section with inbuilt water drainage to provide an excellent value poster case that is suitable for internal or external use. 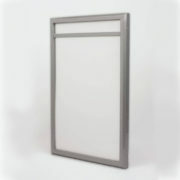 A standard poster case is usually portrait, side hinged on the left and powder coated silver to provide a quality finish to a poster case which can then be wall or post mounted. 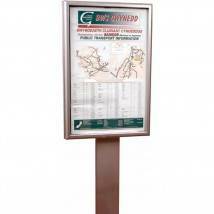 The cases are also available with a fabric pin board insert or a magnetic insert that transforms the poster case into a display notice board. 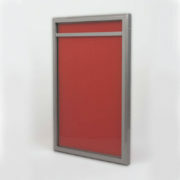 All our poster cases and notice boards are manufactured from fully recyclable materials and are fire retardant.